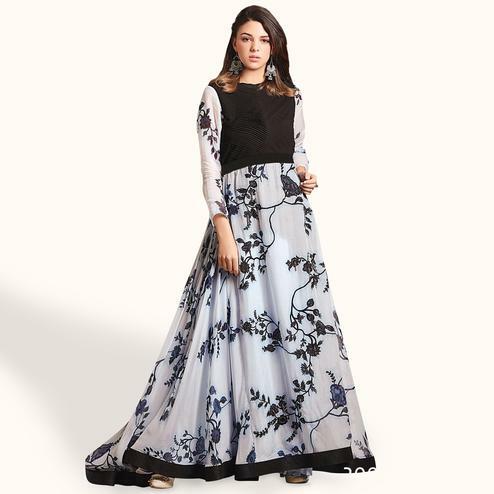 Steal the spotlight wherever you go wearing this blooming black-grey colored partywear gown. 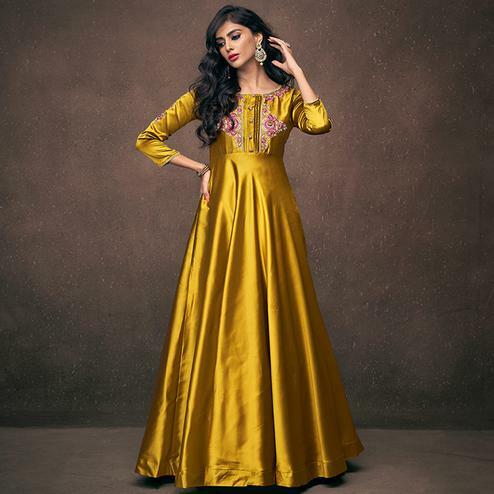 The stitched gown made of heavy rayon has desirable print, embroidered and hand work which is eye catching. 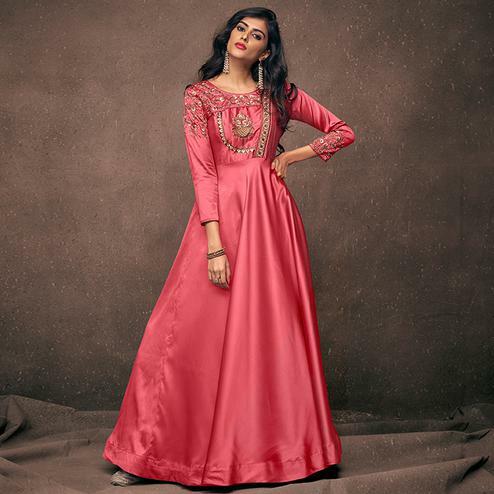 Specially designed to wear for parties, functions, receptions, engagement ceremony and family occasions, where you want to be center of attraction. Pair it up with classy accessories and heels to make your look more attractive. Get this gown now before it's gone out of stock. Note:- The actual product may differ slightly in color and design from the one illustrated in the images.